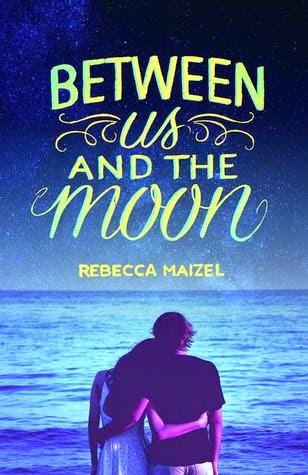 Summary: A luminous young adult novel that evokes Judy Blume’s Forever for a new generation. My Thoughts: Sarah has always been in her sisters Scarletts shadow. Everyone always seemed more interested in Scarlett. This summer, Sarah wants things to be different. The family goes to Cape Cod like most years and things are different in Sarah’s life. Her boyfriend from home has broken up with her, she wants to be more fashionable and she wants her world to be bigger than the telescope she’s used too. She wants to step outside her comfort zone. Sarah meets a boy named Andrew. Andrew is a few years older but she doesn’t tell him. She lies about her age. She starts to really like him and fall for him. Andrew feels the same way but at times Sarah feels a little guilty since she’s not being truthful to him. Sarah spends the days with her family and focusing on her astronomy scholarship but most days she can’t stop thinking of Andrew so she runs off to see him. I loved the setting and the astronomy bits. I loved hearing about the comets. I loved that Sarah was a science nerd. I really liked Sarah as a person and I loved Andrew. At times, I felt like I was right there on the beach with Sarah and I wanted to be! I want nice weather! I want sand beneath my toes! I really wanted to love this one! A sweet and romantic contemporary. But, I hated that Sarah lied to him about her age. This just turned me off quite a bit. I still enjoyed the book enough to keep reading though. Overall: I liked it. Probably more of a 3.5 cupcake rating. I just think the age thing turned me off. Not really that they were a few years apart but that she didn’t TELL him. I hated knowing he had no clue. I did love the setting though. Cover: Like it! Looks cute and romantic. Love the water!